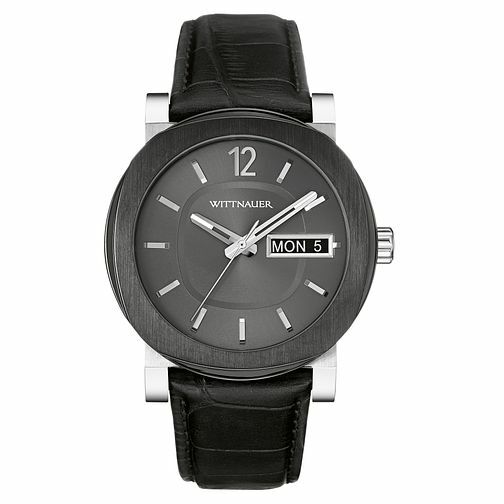 This two colour piece from Wittnauer's Aiden collection creates a trendy monochromatic look for the wearer. The case is set upon a sleek black leather mock croc strap and adds to the smart yet industrial finish to this watch. The framed Day/Date aperture on the dial is an added detail on this piece, as well as being 50m water resistant.